Pick between 4 strap styles and our wide color selection to make your bag your own. Each strap can be clipped on either the sides or back of the bag, and can easily be removed if you want to wear your Willow as a clutch or wallet. Our 4 in 1 bag, the Willow Envelope is part clutch, wallet, crossbody, and belt bag. Simply attach your favorite strap and convert it to whichever design you need. 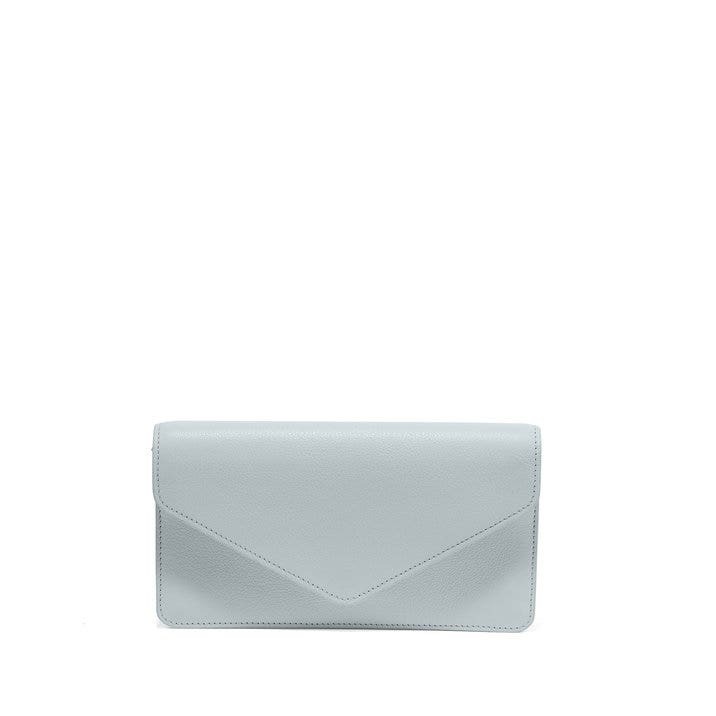 Made with sewn-in card slots, a bill compartment, a zip pocket (perfect for coins or dainty jewelry), and assorted full-width pockets, this envelope purse has all the best parts of a wallet in one dainty silhouette. This handbag comes with one of four strap options, the Wristlet, Thin Crossbody, Belt Bag, or Guitar Crossbody Strap. This is my second item ordered from Leatherology and I have been delighted with each one. Your things are simple, elegant and absolutely exquisite.